This novel, by James Wesley, Rawles, has been long awaited, not as a sequel to his very popular Patriots: Surviving the Coming Collapse , but as a companion novel, taking place concurrently in a different part of the country with a different cast of characters (a few overlap with Patriots). Patriots has been described as a technical manual disguised as an adventure novel. Survivors shows Rawles' growth and skill as a writer, and is much more of a real novel, with good dialog, plot twists and turns, well developed characters, all the while subtly educating the reader in some of the finer skills and tools for surviving TSHTF scenarios. If you are a fan of end of the world literature, then Survivors is for you. It's 370 pages of adventure, excitement, and page-turning thrills. We talk about preparing for hard times and thriving during good times. I look at this weekend's Cub Scout camping trip the same way... We were in a state park campground, with indoor plumbing just 50 yards away, and the kids ranged from about 6 to 11 or so, so it wasn't a great expedition, but it was a good opportunity to practice some wilderness survival skills. I had my nephew carry is aluminum water bottle slung over his shoulder everywhere he went. I toted my Dave Canterbury 5Cs kit packed in a Venturer Excursion Bag from Survival Gear Bags everywhere. After dinner and skits on Saturday night at the main group campsite, they had let the fire go out to just a small handful of embers. The Cub leader asked me to restart the fire for s'mores. I sent boys out to gather twigs and sticks, and despite having so many "helpers" dropping leaves in the pit, I was able to get a roaring fire going again with a few minutes of stacking and blowing. At one point, my nephew asked me to make him a sharp stick with my sheath knife. Word spread fast, and I had boys lined up bringing me sticks to sharpen for them. As we were leaving this morning, I had one following me out asking for another sharp stick. I felt kind of like Shane. As we were packing up this morning, a dad in a spot a couple down from ours had a dead battery, but no cables. My emergency car kit to the rescue, and I got him started with no problem. Just another example of preps being needed for an everyday, minor annoyance, that most folks have had happen to them, but they still don't prepare for. Our Sponsor of the Week is Directive 21, home of Berkey water filter systems and Wise Food Storage. What you might not know is that Directive 21 now sells the amazing Tattler reusable canning lids and the very high quality, Country Living Grain Mill. 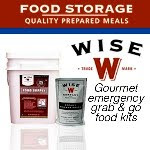 If you home can as a part of your food storage plan, you know that the gasketed lids are the weak point. The Tattler lids use the same techniques as traditional lids, but can be reused virtually an unlimited number of times. Have you bought a bunch of whole grain or wheat berries as a part of your long-term storage food? What are you going to do with it? A friend has several dozen #10 cans of whole wheat, but his plan is to eat it as wheat berry gruel in a breakdown. I've tried to convince him he needs to get a grain mill to use the wheat in ways his family will actually enjoy and not rebel against. The $29.99 mills in the ethnic food section of the supermarket is made of pot metal and will break under steady use. Nothing I'd want to bet my future on. The Country Living mill is of the highest quality and has a lifetime warranty. It's expensive, but worth it. Visit Directive 21 and please let them know you heard about them here at If It Hits The Fan. Glad you had a good time camping with the Scouts. Tattler canning lids are great. 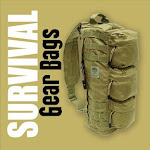 The fact that they are reusable make them highly desirable for preppers.